Authorities warned that the number of Muslim fundamentalists including “jihadists” living in Germany has doubled to 11,000 in just a few years. Salafism — the radical Islamic ideology to which international terror groups such as Islamic State and al-Qaeda are usually said to subscribe — has grown rapidly in recent years, according to security statistics reported by Tagesspiegel. The 11,000 figure, which represents the number of Salafist residents known to regional authorities in each state, has risen sharply from 5,500 in 2013, and marks a rise of almost 300 per cent from 2011, when domestic intelligence estimated around 3,800 fundamentalists to have been active in the EU nation. Data presented by the Interior Ministry this week showed that speed of the ideology’s growth varies region by region, with large cities housing a large share of extremists present in Germany. The speed with which the extremist ideology appears to have spread in the city-states of Berlin and Hamburg was described in local media as “striking”. In June 2017, Germany’s Federal Office for the Protection of the Constitution (BfV) classed half (365) of the 730 Salafists recorded living in Hamburg as jihadists, or potentially violent. 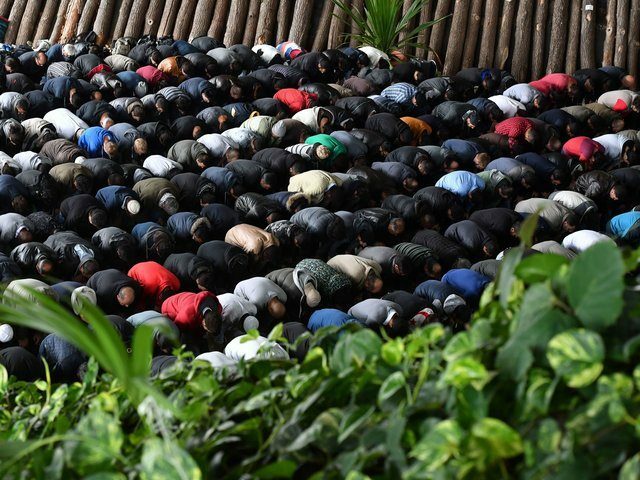 But the number of Islamic radicals has swelled in the past year along with the danger they pose, according to the domestic intelligence agency’s latest figures, which found that Germany’s second-largest city now hosts 798 Salafists including 434 classified as jihadists. Presenting figures for Bavaria on Thursday, state interior minister Joachim Herrmann reported that the region is currently home to more than 18,000 “extremists”. While left-wing and right-wing extremists were found to number quite high in the state, with 3,470 and 2,320 respectively, Salafists made up the largest share of radicals, with 4,070 recorded to be living in Bavaria. “We have to thank God and our security agencies that there hasn’t been an attack [in Bavaria] but we can see from other countries that the threat persists,” said Herrmann, confirming that radical Islamic terrorism terror remains the biggest domestic threat.